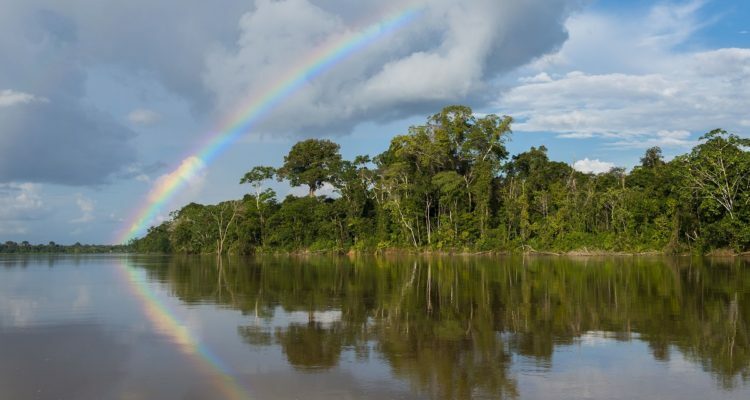 This year started off on the most positive note thanks to the news shared by our partner Frankfurt Zoological Society: the Peruvian government officially declared the Yaguas basin as a National Park. This represent a crucial milestone for the protection of nature and the conservation of biodiversity in Peru, and for the indigenous communities living in the Yaguas basin. Yaguas is the 15th National Park of the country and covers 868’927 ha of uninhabited land rich in biodiversity. The Yaguas River Basin has been indicated by the Peruvian government as a priority area for conservation since the 1990’s due to its high biodiversity and a rapid biological inventory carried out by the Chicago Field Museum in 2010 confirmed Yaguas among the most diverse places in the Peruvian Amazon. The main threats to this area are illegal mining and exploitation of natural resources mainly by people coming from other regions of the country. Since 2015, the Frankfurt Zoological Society has supported the Peruvian nature conservation authority SERNANP both financially and operationally in improving the protection of Yaguas and in driving forward the process of transforming the previously protected area of Yaguas (transitional status) into a national park. On top of that, the local communities living in proximity of the national park, who depend on the rich aquatic resources of this ecosystem, started to acknowledge the importance of protecting those natural resources to let them thrive and secure their livelihoods. Hence, they actively participated by pressuring the government to increase the level of protection of this area. SERNANP and the Ministry of Environment are now responsible for the park and its management, but they had and will have the technical support of many players, such as Instituto del Bien Común (IBC), the Chicago Field Museum and the Frankfurt Zoological Society. The efforts of all those involved have finally paid off and we are proud to have been part of this incredible achievement. You can read more about our support to FZS project in Peru here, and more about FZS work in Peru here.